Blank Slate Books | T.(B.)K.O. Seems like everyone had a good time at this year’s Thought Bubble. 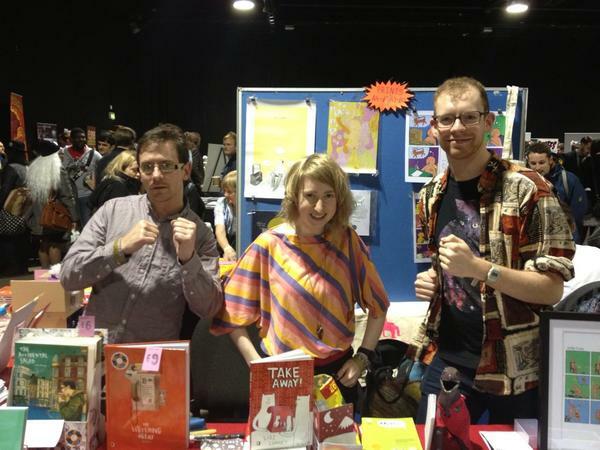 Here’s Joe Decie, Lizz Lunney and Alex Norris ready to whup anybody who thinks they can get out of that room without buying a badge, a minicomic or a risograph print. Thanks to everyone who visited and we hope you heal soon!